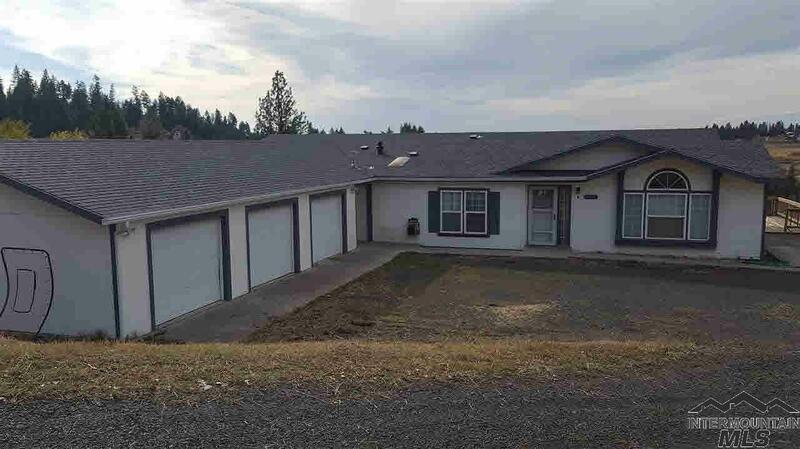 All Kamiah homes currently listed for sale in Kamiah as of 04/23/2019 are shown below. You can change the search criteria at any time by pressing the 'Change Search' button below. If you have any questions or you would like more information about any Kamiah homes for sale or other Kamiah real estate, please contact us and one of our knowledgeable Kamiah REALTORS® would be pleased to assist you. 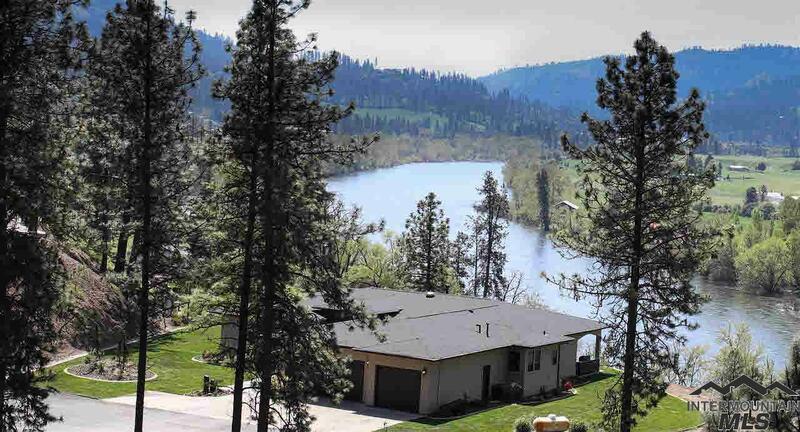 "First time on the market 430 feet of Clearwater River Frontage. 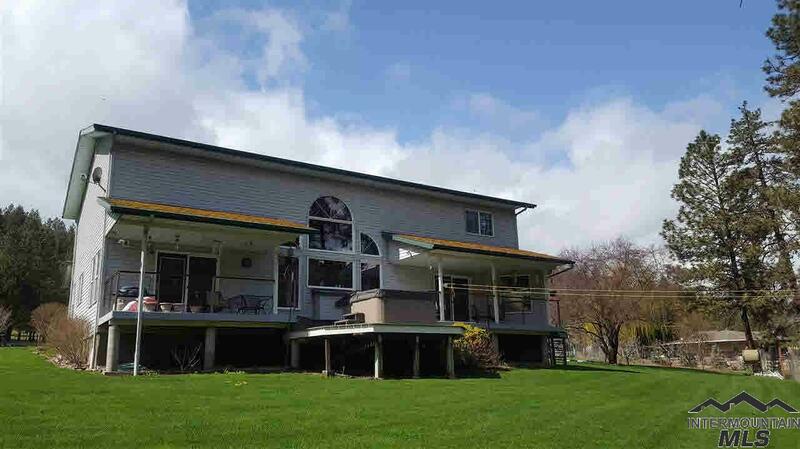 Custom home situated on 8 acres with fantastic river views end of the road privacy. 3 bd 2.5 baths 2500 square feet open floor plan. Beautiful kitchen with granite countertops abundance of counter space and custom cabinets. Master bd is huge with French doors to covered deck. 2 spacious bd and full bath on 2nd story with open loft area. The living space on main level with propane fire place. 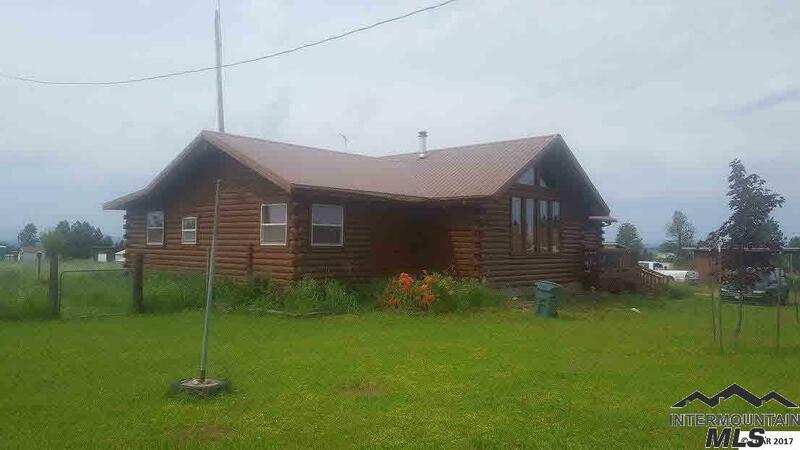 2 shops 28x36 an 32x32 with lean to heate"
"Very nice diverse property lies next to 640 acres of state with hunting, hiking, atv, horse back riding, or just sit back and enjoy the magnificient views in the quiet of this beautiful off the beaten path property. 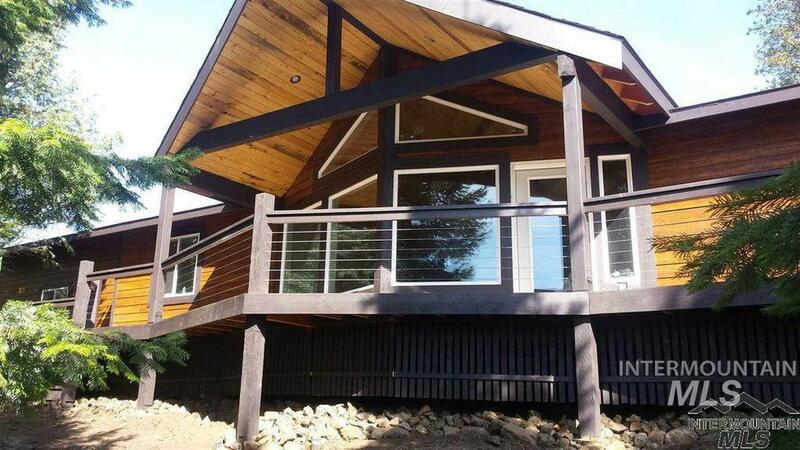 Very nice ,well built log home in this timber land setting. Over 12,000 trees have been planted with lots of regrowth. Good well along with automatic 1500 gallon water storage system, automatic generac generator power backup adds to the comfort of country living. Lots of wildlife." 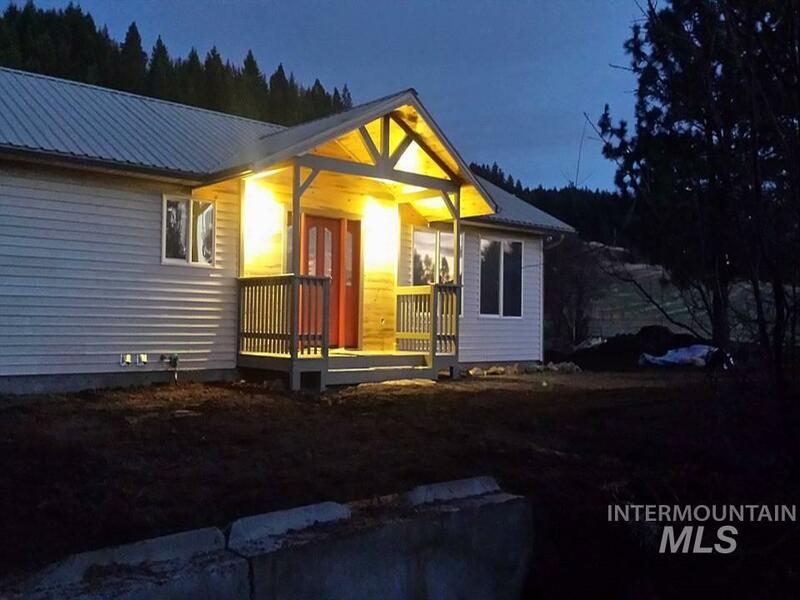 "Executive home over looking the Clearwater River & the Kamiah Valley. Just across the river in Idaho County. Custom throughout, w/ granite counters, Alder cabinets, open beams, separate heating/cooling for master bed, walk in shower & handicap jetted tub, beverage bar w/ wine fridge & ice-maker, 792sqft garage & much more. Outside you'll find in-ground sprinklers, water fountain, chain gutter downspouts & custom landscaping. The river views & attention to detail make this one of Kamiah's finest "
"Absolutely stunning and diverse property. From the big rolling hay fields to the timbered draws. Multiple ponds, many magnificent views and borders public lands. 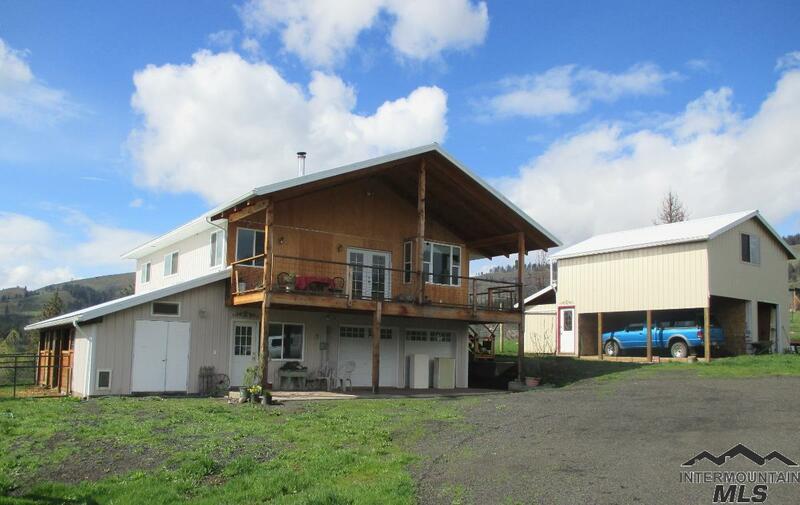 Older farm house, nice shop with all the extras and a large barn. 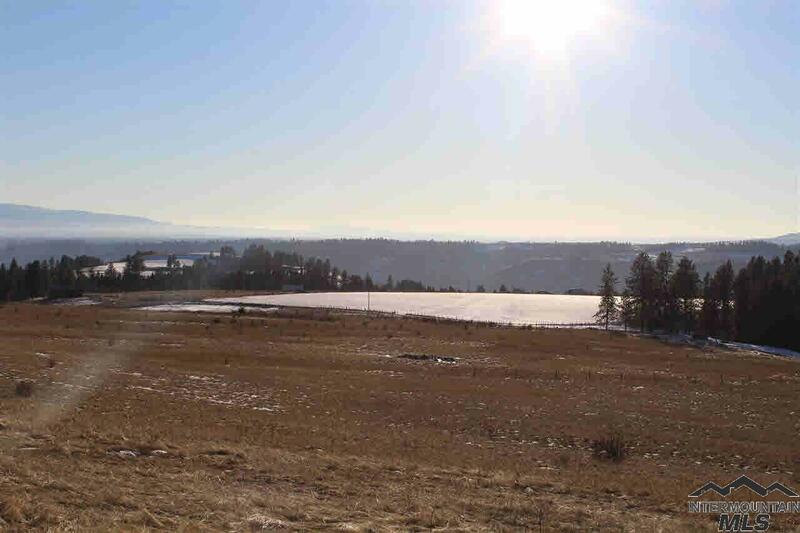 A portion of the property is in CRP with two years left on the contract." "Tucked away atop of the ridge with stunning 180-degree views, this large home is an entertainer s dream! Custom build, original owner all on one level. Great room is surrounded by large windows that bring the outside indoors all year round and beautiful sawtooth hardwood flooring. Upgrades throughout the entire house including top of the line energy efficient heating and air conditioning system, commercial grade air filter, and large storage room over the garage. 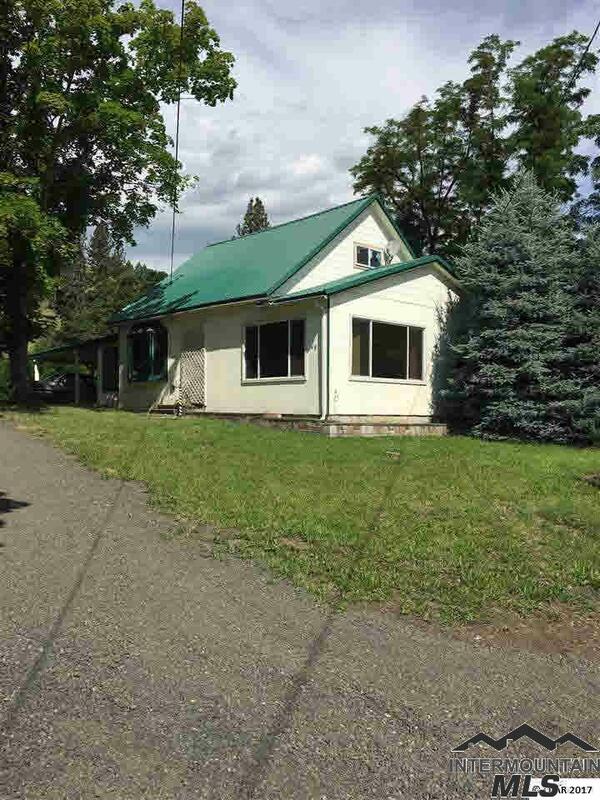 RV Parking and ho"
"A solid home with over 25 acres in Idaho County. Views of the Clearwater River and located low in the Kamiah Valley. A large covered deck and breezeway between home and carport to enjoy your views. Lots of wildlife on the property. Multiple building sites with incredible views for those wanting to divide property for investments or to build their dream home upon. Some fresh interior paint, update flooring and fixtures to your liking or keep as is. Plenty of ground for a few horses or cows." "Idaho County Farmhouse and 20 acres with numerous out buildings ready for you to set up your sustainable living farm. 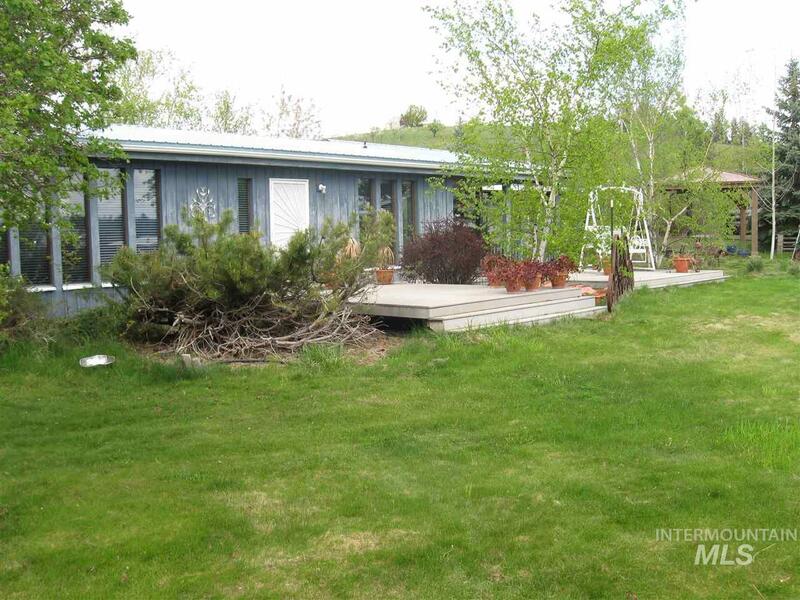 Farm home has 6 bedroom 2 bath split entry, with wood stove heat. Large pantry for canned goods from your garden. Pond for livestock, Barn, Hay shed, 2 shops and a wood shop. Fenced pasture area. Chicken coop. Garden area. Turkeys, deer, and the occasion elk wonder through the property. 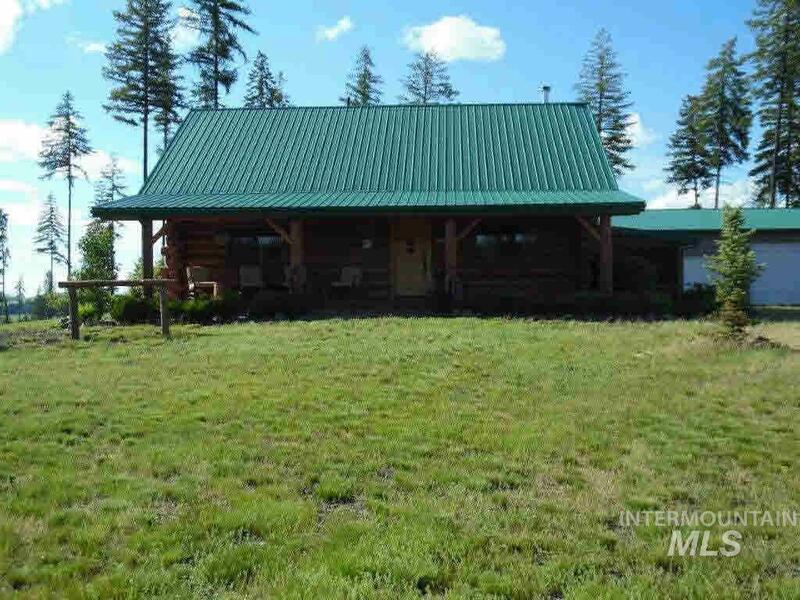 Property sits above the Kamiah, Clearwater River Valley, famous for Steelhead and Salmon Fish"
"20 AC, great views of Kamiah, 1500 ft elevation 1600 sf 720 sf shop garage new appliances Jacuzzi tub, 2nd kitchen, R30 insulated walls 640 sf redwood decking, feed room, animal stalls mower shed/carport/storage/woodshed, RV site w/power, phone, water, septic. 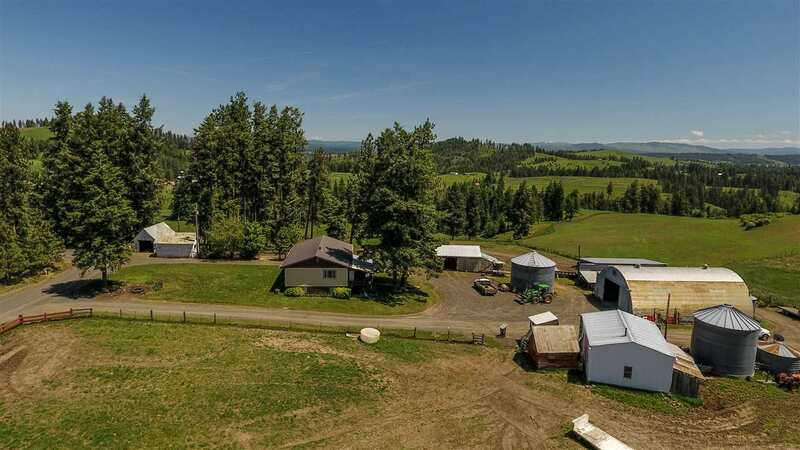 1/2 acre deer proof fenced orchard/garden w/ drip irrigation 2 water tanks w/emergency water pump, back up hand pump, 2nd home site with 360 views newly rebuilt driveway. True Idaho Paradise just looking for a Buyer like You!" 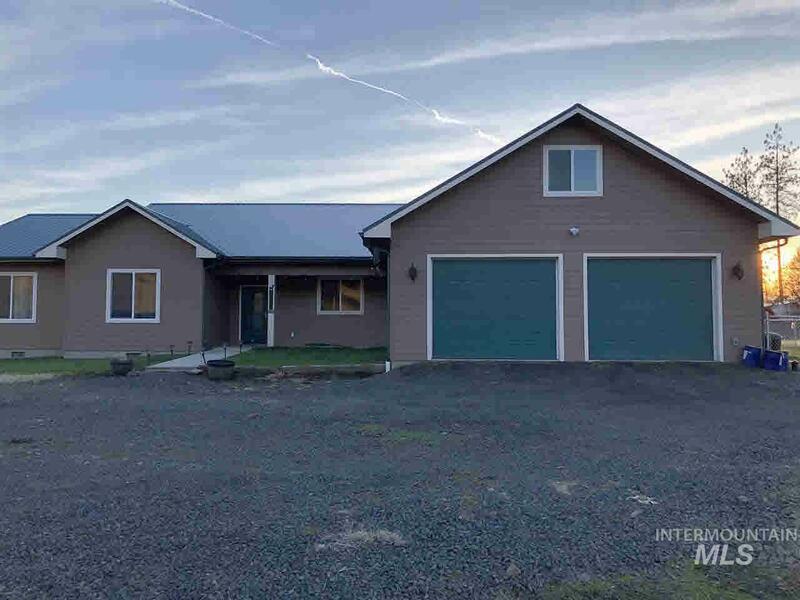 "A very nice 2747sqft home w/ garage & set up for horses w/barn/shop/ stalls, pasture & more on 7.85 acres in Idaho County. 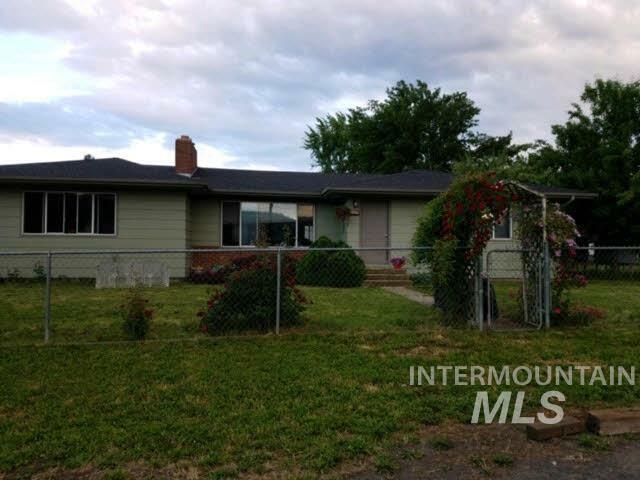 Home is in very good condition w/ large bedrooms & lots of living space. Concrete sidewalks, back up generator, storage shed & more. A beautiful setting w/ large pines & nicely done lawns. 3 bedrooms & office that could be a 4th bedroom. 2 wells & spring. Not too far from town, but far enough to enjoy country life. 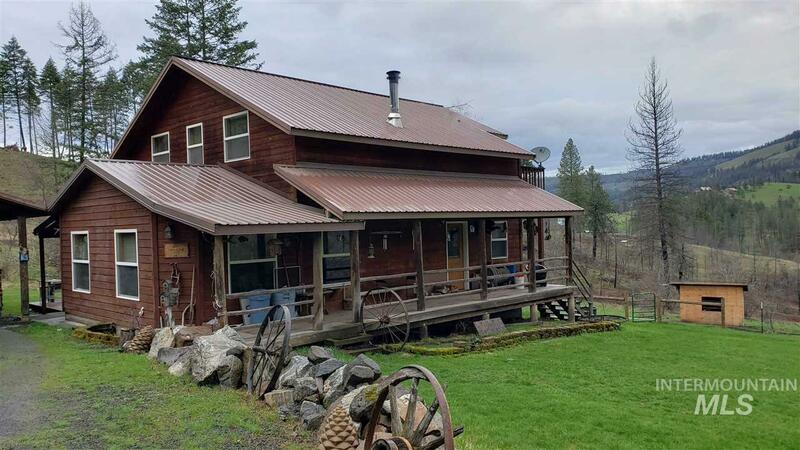 Home inspection done, Septic pumped, well tested, ready to s"
"Private 13 acres with 3 bedroom 2 bath home cozy wood stove on main level in addition to main level laundry and Master bedroom. Open floor plan with large dining area French doors to covered deck for extra living space. Covered front porch to take in all the wild life. Upper level has family room private deck to take in the fantastic views. Office area and 2 spacious bedrooms and 1 full bath. Shop building 32x52 for extra storage and tons of parking. 38x28 2 car garage with attached carport. 12"
"Beautiful home that has been totally renovated, 4 bedroom, 3 bath, 2 Car Garage on 1.53 acres. Finished daylight basement, insulated & heated garage. Propane Heating. Electric Water Heater. New Interior paint, new plumbing fixtures, new light fixtures, new floors, new furnace and AC, new Range, DW & MW. High end cabinets with full extension drawers and pull out shelves, soft close doors and drawers. Great views, horses, chickens, garden space, RV parking area with full hook ups. Well & Septic Sy"
"CUSTOM BUILT, RIVER VIEWS!! 3428 sq. ', 3 bds. each with their own balcony and river view, 2 full baths, custom built cabinets, amazing wood work and craftsmanship through out, jen air cook top, double ovens, intercom, 2 fireplaces, new heat pump & wood furnace each with their own duct system, large work area in the daylight bsmt. with single car garage and double carport, large deck off of the kitchen/dining area, a wall of windows in the living room for light and views, 1.34 acres, end of the r"
"Unique property with lots of extras. Rustic home with large extra building (33x110) that has been completely remodeled. Two bedrooms in main home and an extra 3 bedrooms in separate building as well as a shop, family room, art room, hobby room, office, and walk in pantry. Separate shop pole building with loft, storage buildings and 3 car covered carport. Has a RV included that is set up with water, electrical and is covered. Property has an large orchard that used to be a commercial operation." 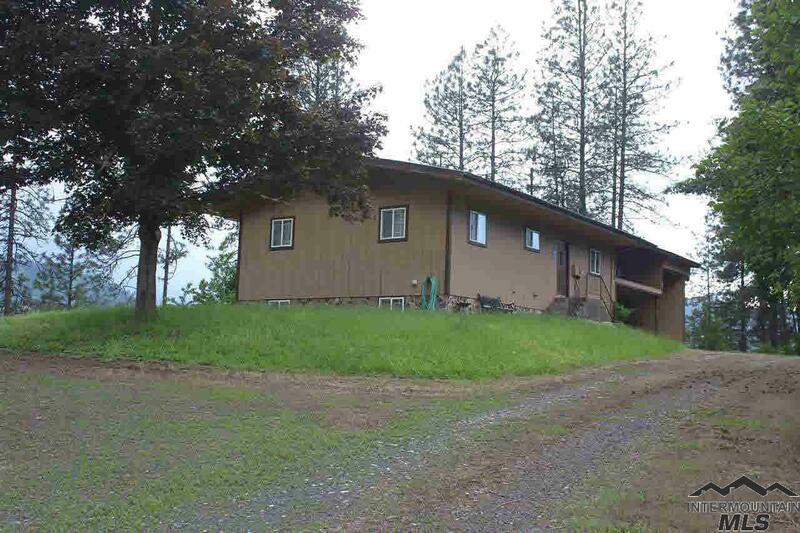 "The perfect mini-farm, family or retirement home only minutes out of Kamiah. 2.5 acres all flat and usable. Fenced and cross fenced with huge garden area. You can do just about it all, from raising your own beef, sheep & chickens, to pasturing horses. This property comes ready w/ all the necessary outbuilding that you would need. Workshop for your projects, attached storage rm, large barn, huge chicken pen, animal shelter and shop. 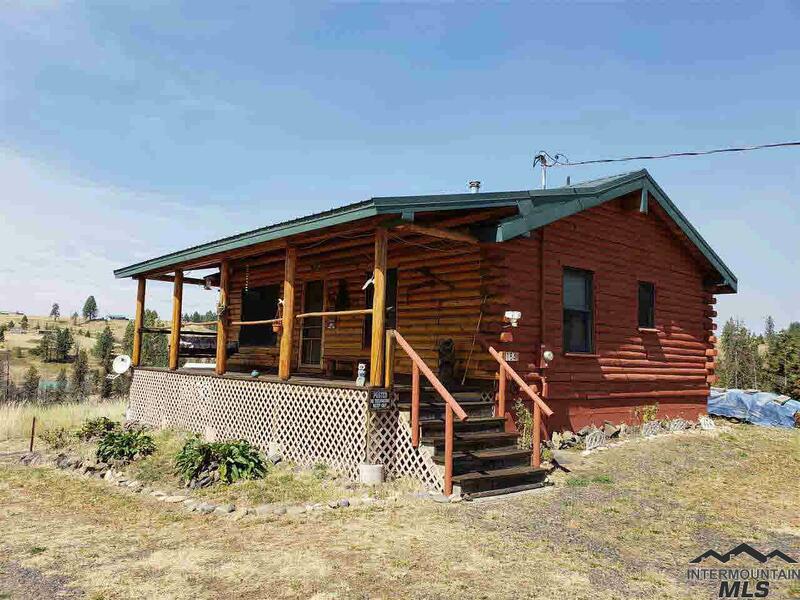 Entire home has been completely remodeled in the past few years "
"Log home with 3 bedrooms 3 baths situated on 3.98 acres corner lot. 2 car attached garage and 2 car detached garage 2 large metal containers with cement floors for additional storage or shop area. Private well and lagoon septic system. The property is fenced and all useable land. Great views of the surrounding mountain area Open floor plan with 3,958 square feet large master bedroom with walkin closet and large master bath. The kitchen has pine cabinets and lots of counter space. Short 9 miles t"
"Own your own retreat, end of the road privacy! Yet just minutes out. Four bd., 1 3/4 bath home, daylight walkout basement w/large family room, master bd., 3/4 bath and laundry room. price includes electric range, refrigerator, dishwasher, pellet and wood stove. Beautiful new deck over looking the river and valley. Perfect for summertime barbecues. Detached garage/shop building. All situated on 10 plus beautiful acres recently brushed. Well, developed spring and septic system. $250,000"
"Brand new construction and near completion. This 3 bedroom, two bath home is tucked away in the pines with privacy, but yet close to town. Pick your kitchen and heat supply and your ready to go. Beautiful covered deck, large open floor plan and an over-sized garage complete the package." "Fully Furnished down to the dishes and bedding. Country living in this beautiful log home open floor plan with fantastic views out every window. One bedroom and 1/2 bath on main level and second bedroom in basement with 3/4 bath. Basement has tons of storage and terrific work bench area. Walk out basement out to back yard. 6.57 acres with plenty of space to build a shop or garage. Large covered front porch to enjoy the wild life. Must see property shot 20 minutes to shopping medical and schools." "1997 Manufactured Home 2560 square ft 3 bedrooms and 2 1/2 baths. Open floor plan with bright sunny kitchen lots of counter space and cupboards pantry. Gas cooking top with electric wall oven. Living room has wood stove and French doors to open deck. Multi use room could be 4th bedroom office or man cave. The master bedroom is huge with private sitting room walk in closet spacious bath with soaking tub separate shower and tons of storage. Situated on 5 acres with 3 car garage fenced garden area "
"A large over 4000sqft home with a lot of recent remodeling work done for you. New Roof, windows, furnace, paint, flooring, electrical, insulation and much more. Come in and finish off landscaping and basement to fit your needs. On the edge of town, but with privacy and views on 3.25 acres. Remodeled master bath with Jetted tub. Huge family room upstairs. 400sqft attached garage, concrete patio, fruit trees, pine trees and more." "Great family home on a large corner lot! This home is very underestimated from the outside. It has lots of room for the family with two bedrooms upstairs, a large open living room, great kitchen with oak cabinets and large dining area. The basement features and big family room, two bedrooms, a sewing room, large pantry, laundry room and another kitchen! A fenced in yard and an over sized garage are a bonus. It has been very well taken care of with lots of updates." 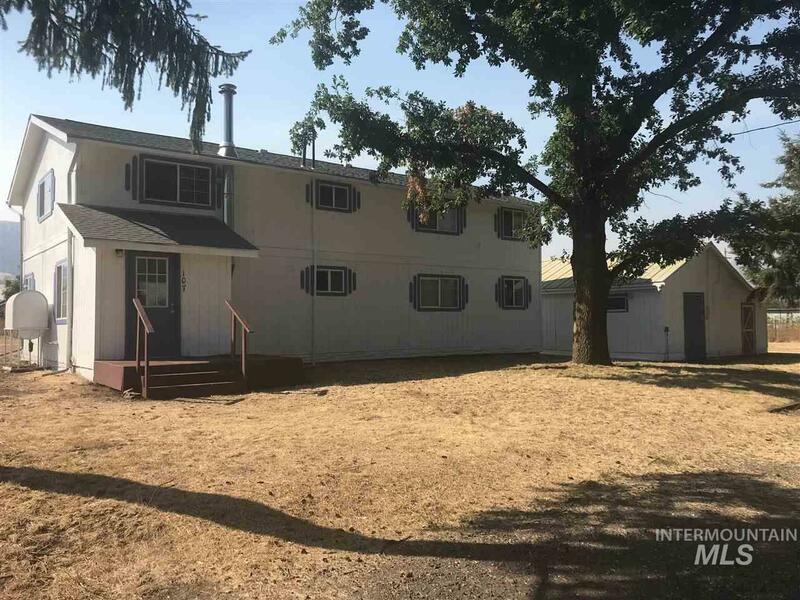 "Just minutes from Kamiah this 1999 3 bedroom, 2 bath MH has a fenced in chain link yard, fenced in garden area, awesome covered and uncovered deck, views, large shop building and circular drive. Recently painted outside, new roof and some newer floor coverings. Large shop, 50 gallon per minute well and a spring. $195,000." "Back on the Market 5 bedroom 2.5 baths. Open floor plan large kitchen and dining room. Wood floors, picture windows to enjoy the view of the valley. Master and 2 guest bedrooms on main level an additional 2 bedrooms in upstairs and large bedroom in basement with half bath. French doors to covered patio. Master bedroom has 3/4 bath and wrap around open deck. Main level laundry large family room with wood burning fireplace. Private back yard, covered carport old growth shade trees. Fantastic views"
"One level home in a very nice location. Set up to be handicapped accessible. Large acre + lot, attached garage and detached shop and other outbuildings. Chain link fence, nicely landscaped w/ in ground sprinklers. 2 bed 2 bath home, w/ open kitchen and living room design. Exposed beam vaulted living room ceiling. Excellent views from the home and front deck. Pull through driveway. Private well and city sewer. Nice and simple living in the Kamiah Valley!!! Can be sold furnished as well!!!"